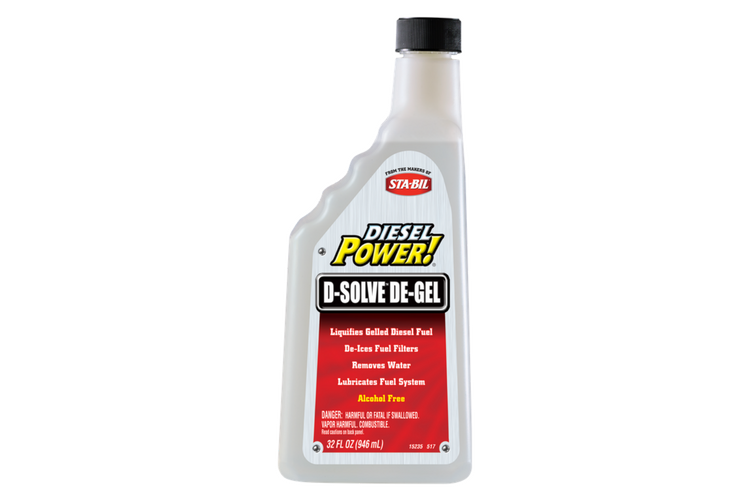 Solvent based D-Solve De-Gel is designed to help de-ice water/fuel filter in diesel water/fuel separator filters, removes water, liquefies gelled diesel fuel and lubricates fuel system. 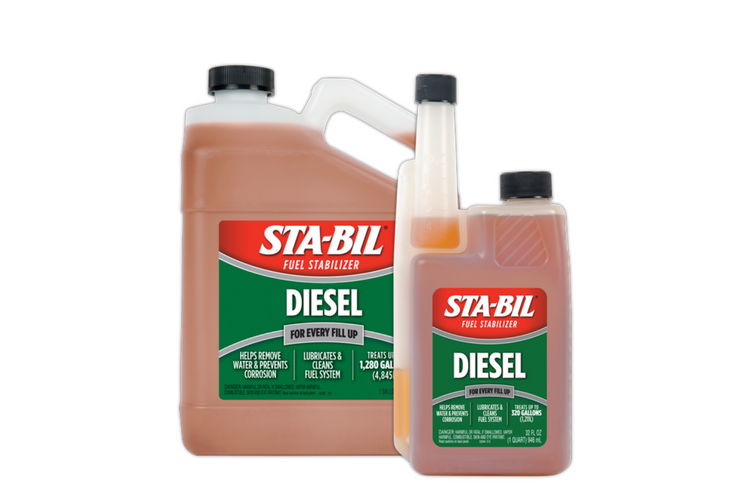 To re-liquify gelled fuel, add 32 ounces (946mL) of product for each 30 gallons (113L) of fuel in fuel tanks. 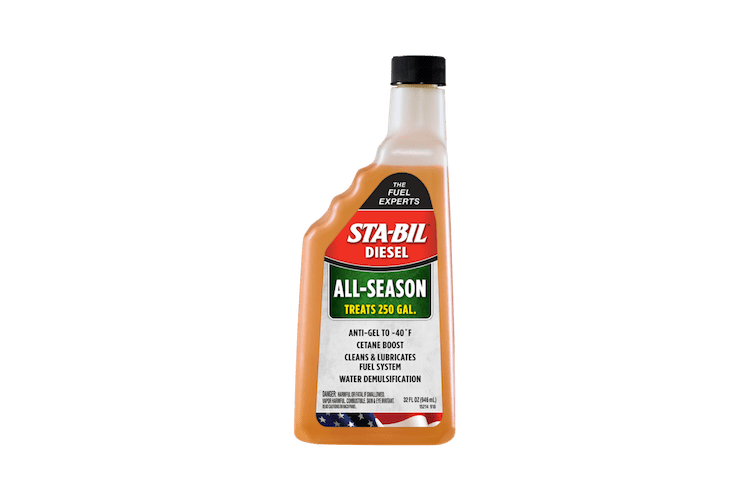 Remove fuel filters and fill with 50% diesel fuel. Reinstall fuel filters. 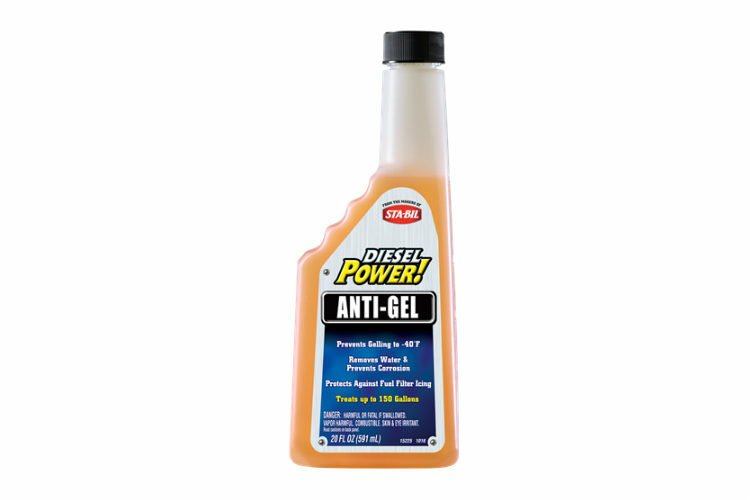 Start engine and add DieselPower!® Anti-Gel to tanks to prevent fuel gelling. This diesel fuel additive complies with federal low sulfur content requirements for use in diesel motor vehicles and non-road engines.